Every second year since 1991, the Government of India publishes a report, “The State of Forest Report”. The report is published by the Forest Survey of India based on remote sensing data gathered from the states and the Union Territories (UT). Undoubtedly, this provides us the most authenticated data at large. The latest report dated 2015 shows that the highest forest cover can be noted in Mizoram (88.93 per cent) followed by Lakshadweep (84.56 per cent), Andaman and Nicobar Islands (81.84 per cent) and Arunachal Pradesh (80.30 per cent). However, further analysis will show that Mizoram has actually only 138 sq km under very dense forest cover while Arunachal has 20,804 sq km of very dense forest cover. It has also the highest percentage of medium dense forest cover spread over 31,301 sq km while Lakshadweep, an UT, has zero sq km of very dense forest cover. Logically, the very figure of Lakshadweep occupying the second place is a misnomer as the green cover of Lakshadweep is composed of largely thousands of coconut palm trees. India has been trying to achieve to put 33 per cent of its geographical area under forest, but the latest report shows that it is yet to reach 22 per cent, notwithstanding the erroneous inclusion of data from Lakshadweep. It has also been claimed that at least 14 states and UTs have reached the target of 33 per cent. If one takes into account the very dense forest and medium dense forest, the figure seems to be valid except for Mizoram which shows 31.98 per cent forest cover. But the claim of reaching 21.34 per cent forest cover stands to be questioned because if one calculates the very dense forest cover in India it comes down to 2.61 per cent. Even if one calculates the medium dense forest cover, it reaches up to 9.59 per cent. So, in reality, good forest in India is about 12 per cent at present. India is a member of the United Nations Framework Convention on Climate Change and has been actively participating in all Conference of the Parties (COP) meets, the last one being COP 21 held in Paris in December 2015. A National Action Plan on Climate Change was announced in 2008 by the then Prime Minister with eight missions. The present Prime Minister has added four more missions and added the words Climate Change as a suffix to the environment ministry. All these show the seriousness on the part of the Government of India to the issue of climate change. How can one judge the success of the Green India Mission? One has to remember that India has pledged to increase 25 million hectares of forest cover from the current 17.2 million hectares by 2030. A critical analysis will show that there are four avenues available to achieve the target. These are the national afforestation and eco-development board under the environment ministry headed by the inspector general of forest, the Compensatory Afforestation Programme from the funds collected from approved development projects for conversion of forest land for non-forest purpose, plantation programme under the Mahatma Gandhi National Rural Employment Guarantee Scheme and the watershed development programme. 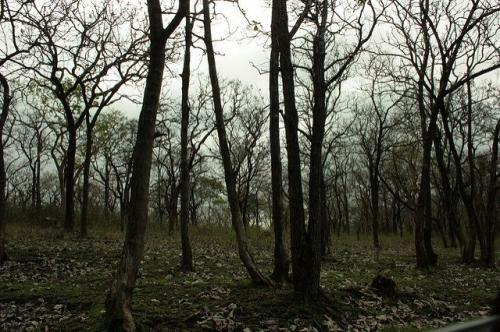 A recent report based on the National Remote Sensing Centre, Hyderabad, shows shocking data, revealing the gap between claims made of 19.64 million hectares covered under afforestation during 2003-14 and the actual 2.4 million hectares in reality. A total amount of Rs 41,000 crores was spent on this. Further analysis reveals more interesting data. Arunachal Pradesh has a forest cover growth of 554 sq km as against the 771 sq km of loss of forest cover. Andaman and Nicobar Islands has done afforestation on 161 sq km while losing 213 sq km of forest cover. Mizoram has 635 sq km of new forest with a loss of 318 sq km. Interestingly, the chairman of the national afforestation and eco-development board said, “almost half of the plantation area is notional”, and a large number of trees failed to survive due to various reasons. He added, “if from 9-10 million hectares plantation 2 million forest cover has increased, it is still an achievement”. The problem is that climate change is a reality. India needs to achieve a real Greening of India Programme to save millions of citizens living in the deltas, in the Himalayan foothills and also in its vast arid regions. The country has not been successful in accessing funding for more than two projects from the International Adaptation Fund and its own adaptation fund allocation of Rs 350 crore seems to be low. One has to remember that India, even with lowering of female fertility rates, still has a population of more than 1.24 billion in 2.4 per cent of global space. A real Greening of India Mission can provide the most possible route through carbon dioxide absorption from the atmosphere to achieve its declared intended goal of reduced carbon emissions (Intended Nationally Determined Contributions). Has forest cover really increased? As pointed out earlier in response to stories about our forest cover and afforestation schemes, a major reason for the widening gap between what is claimed and what is on the ground arises from the fact of dismal survival rate of forest plantations. There is neither monitoring of plantations nor records maintained fully. So after say 6 or 7 years you cannot find out which plantation was done where. This allows plantable areas to be taking up again and again and helps is achieving thousands of hectares of annual plantation targets of each state, year after year. Why the authorities and 'sharp' erstwhile ministers like Mr Javadekar are unaware of this racket going on for decades remains a mystery (though not un-solvable)! That we have only a pathetic percentage of dense forest remaining and declining reflects the real State of the Forest. On one side the government talks of increasing forest cover from less than 22% to 33% and yet it is giving permission to convert forest areas in to Real Estate ventures like that given recently to Andhra Pradesh government by MoEF&CC to convert forest lands fr building new capital city -- already more than lakh acresof fertile three crop zones were converted for the same purpose. All this is happening to benefit TDP & BJP real estate politicians to convert land in to gold mine similar to Shamshabad Airport and outer ring road in Hyderabad during its previous regime [before 2004]. At that time also NDA was ruling the country and permitted to destroy drinking water reservoirs and forest areas in the vicinity.